Regardless of whether you are watching a film at home, gaming or enjoying a concert, this projection screen adds realism and drama. You will find a perfect visual enjoyment with optimal image and color reproduction. It is not only for home use, but also suitable for boardroom or conference room. 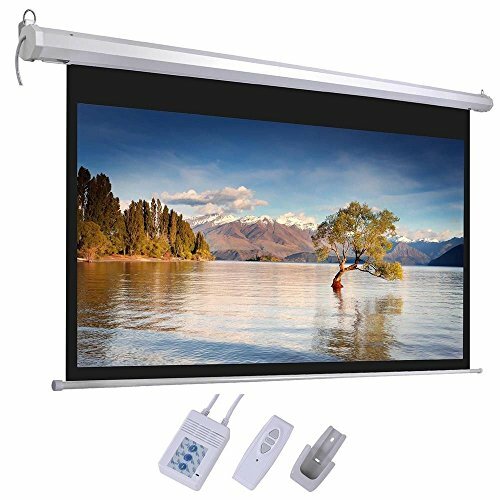 This projection screen has durable matte white surface, it is the premier choice when ambient light is controllable. Ideal for home theater movies, classroom training, conference room presentations, public display, etc.